The third trailer for Venom has landed on the web with a sticky wet, slap, and reminded everyone why it’s never a good idea to mess with the ‘Lethal Protector’. Yes, after literally months of teasing us they’ve finally introduced who exactly Venom (Tom Hardy) will be punching in his first feature film, and it’s not Carnage like everyone predicted. Instead, it’s Dr Carlton Drake (Riz Ahmed) who appears to be trying to create an army of symbiotic super soldiers and has bonded to the alien suit known as Riot. Unfortunately, that may mean those rumours of Carnage, played by the wonderful Woody Harrelson, only appearing in all his symbiotic glory in the after credits sting are true. While the lack of Carnage may disappoint some fans the new teaser’s certainly a lot darker than the previous two trailers and promises a far more violent take on the character than we’ve got in the past. Taking inspiration straight from the comics, director Ruben Fleischer has said he always envisioned the movie as something violent and vicious. Our movie wants to honour the comics as close as we can tonally. In the comics, he bites people’s heads off and eats brains. 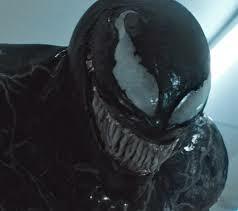 It would be weird to make a movie with Venom if he wasn’t doing that. We tried to honour it as closely as possible. This is definitely a darker, more violent, more vicious Marvel character than I think anyone’s ever seen before. Unfortunately for fans of the symbiotic anti-hero, one element of the character’s comic history that won’t be making its way into the film is Spider-Man. 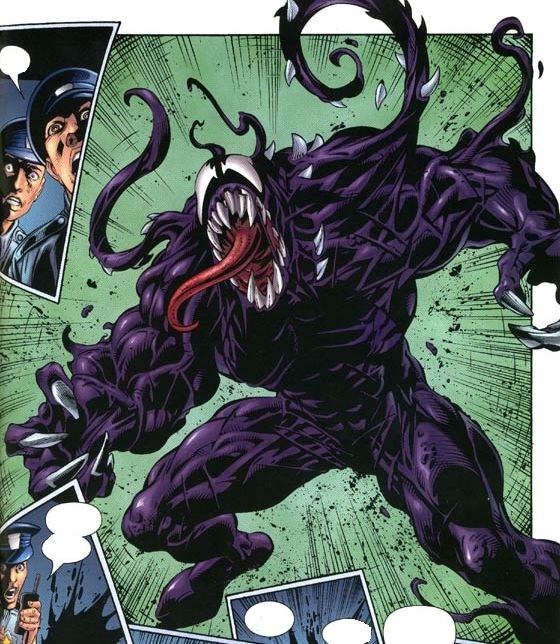 Venom began life as one of Spidey’s deadliest foes, a fusion of the Wallcrawler’s rejected symbiotic black suit and the humiliated journalist Eddie Brock. The pair, who between them possessed all the powers of the Web-Head and knowledge of his secret identity, delighted in tormenting both Peter and Spider-Man for a few years before they eventually struck an uneasy truce. Unfortunately though Sony’s existing deal with Disney prevents Tom Holland’s Spider-Man from making an appearance in the film, although there have been a few rumours that Peter Parker could pop-up. 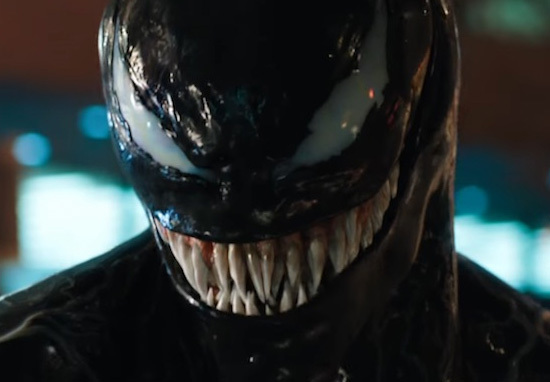 The lack of Spider-Man means the studio had to make one major change to Venom’s iconic design, they removed the huge white spider emblem that usually appears on the character’s chest. Because our character does not originate from Spider-Man, it makes no sense to put a spider on his chest. We tried to be as accurate as we possibly could, even though some people feel it’s inaccurate, but there is a lot of white and we wanted to give him a distinctive pattern. 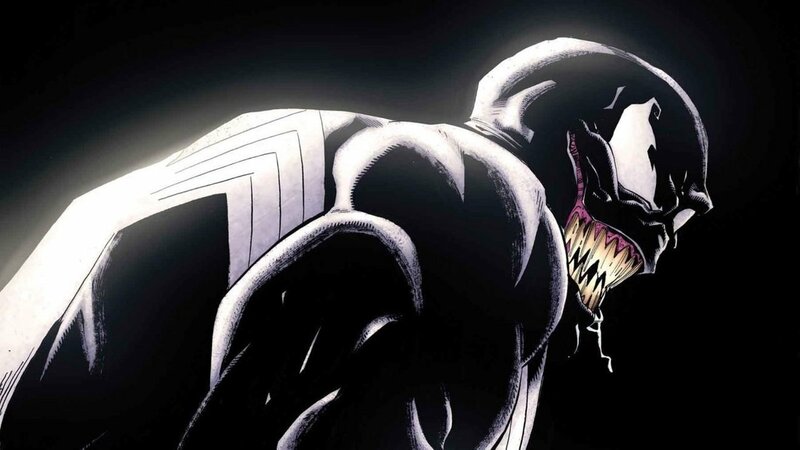 Instead, Venom will have ‘white veins’ on his chest which pay homage to the original design without slavishly copying it. Thankfully there is at least one comic precedent to appease fanboys who may be upset by the spider’s absence, in the Ultimate comics Venom doesn’t have a spider either so just pretend this version is that one and you’ll be fine. Venom swings his way into theatres on October 5.